Bullock brings all the knowledge and experience of a third generation grain farmer to his new position. And after ten years of store management for Southern States, Bullock understands farming from both sides of the retail counter. Bullock holds a bachelor’s degree in business management from Western Kentucky University. In addition to visiting and consulting with growers on Monty’s soil and plant products, Bullock’s new responsibilities include educating both growers and the public about the importance of micronutrients to soil health. In his spare time, Andrew enjoys spending time with his family and participating in the Bremen, Kentucky Masonic Lodge #596. He also enjoys row cropping with his father. Contact Andrew at (270) 832-5256 or email here. Bernie brings the experience from working on the family farm, commercial application, and several years of AgRetail management. In addition to applying Monty’s soil and plant products for the last six years for growers he has extensive experience with consulting and making rec’s for growers. Bernie’s new responsibilities include educating growers about the importance of soil health. Bernie received his Farm and Ranch Management degree and his Human Resources degree from Universities in Kansas. In his spare time, Bernie likes to join his boys on outings with his Boy Scout Troop, spend time with his family, and play golf. Contact Bernie at (785)260-1859 or email here. 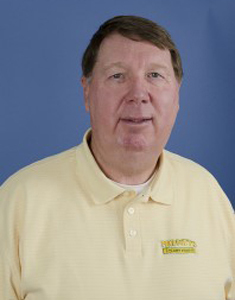 Bob Bever has been an Independent Product Consultant for Monty’s Plant Food since 2014. Bever earned his degree in crop production from California Polytechnic State University. 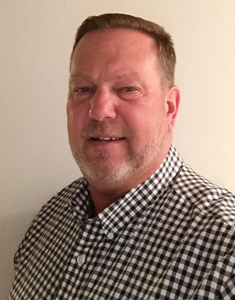 Prio to joining the Monty’s team, he worked as a representative and manager for a major manufacture of ag chemical products in the western United States. Bever also has long-term experience in crop consulting and extensive involvement with ag chemicals, amino acids, biological inoculants, fertilizers and humics. Contact Bob at (503) 580-0543 or email here. Mize attended the University of Mount Olive where he earned his bachelor’s degree in agriculture business. After graduating, Mize worked for Southern States managing several locations. He has over 11 years of experience working with dealers and growers throughout the North Carolina market. Based in New Bern, North Carolina, Chris will be consulting with farmers to provide solutions to the many issues they are dealing with throughout North Carolina and southeastern Virginia. He will also be working with dealers and growers throughout the state, consulting on Monty’s innovative products and the importance of soil health in their quest for higher yields. In his spare time, Mize enjoys spending time with his family and helping out at New Bern Farm, Garden, and Landscape Service – their family-owned Southern States location. Contact Chris at (252) 670.0333 or email here. Clinker graduated from Ohio State University with a bachelor’s degree in Animal Science. His previous work experience includes eight years of sales at Scotts Miracle Gro Company and Milwaukee Electric Tool. Clinker also farms 200 acres in Defiance County, Ohio, with his father. Contact Dan at (614) 902-2480 or email here. Dan Pehan started as a Territory Manager for Monty’s Plant Food in 2015. Pehan received his Bachelor of Science in Business Administration and International Management from the University of Montana and a minor in Spanish language and literature from the University of Guadalajara. His previous agricultural work in North America includes: Founder of Arrowhead Advisement Group International LLC in Missoula, Montana; IOIA certified organic inspector, conducted organic agricultural inspectations in Idaho; and Sales Representative for Riverton Agricultural Services. When Pehan isn’t working as a Territory Manager for Monty’s Plant Food, he is fishing, hunting or traveling with his family. Contact Dan at (406) 370-0514 or email here. Wright has quite a bit of experience in the AG community! He as over 22 years of experience working with growers and retailers in the seed business. And, he grew up on family grain farm in east central Illinois. In his spare time, Wright likes to golf, fish, collect antiques, visit auctions, and spend time with his family. Contact Dean at (217) 299-2593 or email here. Dennis Stephens has been the President of Monty’s Plant Food Company since it incorporated in 1996. Stephens received his bachelor’s degree from Eastern Kentucky University. His expertise is in microbial activity and the impact humics has on them. This consists of studying humics, the rhizosphere, soil types, etc. Stephens is an active member at Southeast Christian Church and, specifically, within the men’s disciple studies. He also enjoys fishing, hunting and golfing. Contact Dennis at (502) 432-0475 or email here. 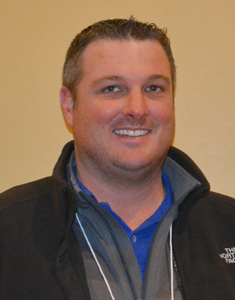 Joe Dedman has been the Vice President of Agronomy for Monty’s Plant Food Company for over 11 years. He conducts training seminars, is integral to new product development, manages the Monty’s research farm, and oversees product trials. Joe attended the University of Kentucky for two years before putting his agricultural experience to work for Southern States Cooperative. For over 18 years with Southern States, Joe worked with growers to help analyze soil tests, maximize yield, and make agronomically sound recommendations. He has been a Certified Crop Advisor for more than 25 years. In his spare time, Joe enjoys fishing and hunting. He also likes teaching Sunday school at his church, which he has done for 45 years. He and his wife of 46 years, Sandy, have two children and three grandchildren. Contact Joe at (502) 468-1654 or email here. 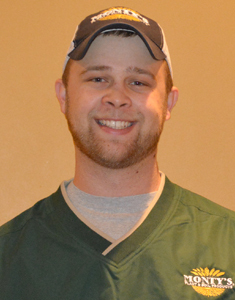 Koll earned a degree in general agriculture from North Dakota State University with a minor in crop and weed sciences. His experience includes working on a dairy farm as well as raising corn, soybeans, wheat and Simmental cattle on his family farm. In addition to consulting with growers on Monty’s innovative plant and soil products, Joe’s new responsibilities include gathering yield data and educating growers on humic substances and the importance of soil health. Larry Strange has been a Sales Representative for Monty’s Plant Food since 2009. Strange grew up on a small farm in Hardin County, Kentucky where his family raised beef cattle and about 60 acres of hay and pasture. Prior to at Monty’s, he worked with Southern States for more than 25 years – 16 of which he spent as a field rep. In this role, Strange works with dealers and growers in southeastern Kentucky and beyond consulting on growing practices and recommendations for use of Monty’s products. Strange lives in Campbellsville, Kentucky with his wife, Kathy. When he’s not out in the field meeting farmers or traveling the region visiting Monty’s dealers, Larry enjoys hunting, fishing and spending his time fooling with old cars. Contact Larry at (270) 403-3636 or email here. 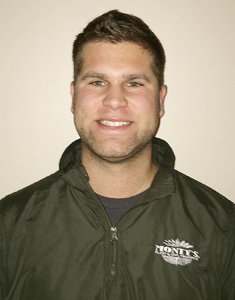 Matt Haugen has been the Northwest Territory Manager for Monty’s Plant Food since 2010. Haugen earned his Bachelor of Science in business management with a concentration in marketing sales and a minor in computer science from Jamestown College in Jamestown, North Dakota. In his spare time, Haugen manages his growing family farm located in Hannaford, North Dakota. He also enjoys hunting, woodworking and spending time with his wife and children. Contact Matt at (701) 789-1955 or email here. Thompson earned his Business Management degree from Valdosta State University in Georgia. His experience includes working on watermelon and tobacco farms as well as having managed his own business for a number of years. When he isn’t out in the field for Monty’s, Thompson enjoys restoring classic cars and lifting weights. Contact Matt at (229-319-2187) or email here. Territory Manager, Delaware, Maryland and Pennsylvania. 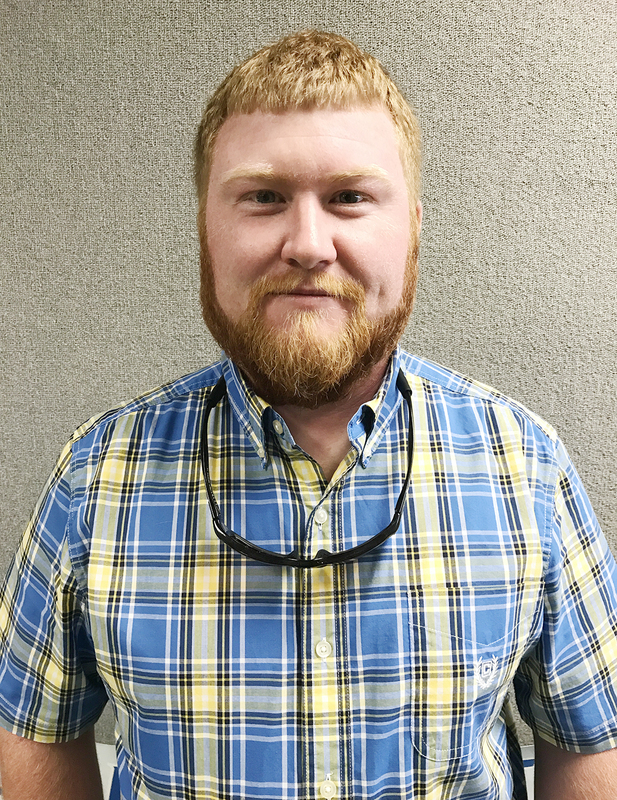 Miles’ agricultural experience includes serving as Manager and Sales Manager for Southern States Cooperative for the northeastern region with responsibilities in precision agriculture. Miles has also been a Certified Crop Advisor since 1996. Paul enjoys camping with his wife, and hunting geese and deer — especially pheasant hunting in South Dakota with friends. He also enjoys spending time with his two sons. Contact Paul at (410) 490-6784 or email here. 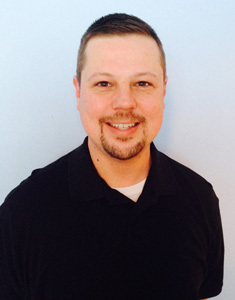 Ryan Lee joined the Monty’s team in 2008 and has been Regional Sales Manager for the east region since 2011. Lee graduated from North Carolina State University with a bachelor’s degree in agriculture extension and an applied sciences degree in agriculture business management. Lee lives in Pleasant Garden, NC and, when not helping farmers increase their yields, enjoys farming, fishing and hunting. He is also a volunteer firefighter with the Alamance Community Fire Department. Contact Ryan at (336) 669-5841 or email here. Sonny Malone has been the Vice President of Business Development for Monty’s Plant Food since 2014. He has been with the company since 2000. Malone earned his degree in agriculture and marketing from Western Kentucky University. Prior to working for Monty’s Plant Food Company, he was a Key Account Sales Manager for Central Garden & Pet, the nation’s largest lawn & garden distributor network where he worked with major retail accounts such as Home Depot, Lowe’s, Wal-Mart and Tractor Supply. Malone lives in Shelbyville, Kentucky and is the proud father of a teenage daughter and son. In his spare time, he enjoys volunteering – as a coach – with the local youth football league and announcing for Martha Layne Collins High School. Contact Sonny at (502) 643-5291 or email here. Worley King has been an Independent Crop Consultant for Monty’s Plant Food since 2011. King attended Forsyth Community College where he received an AAS Degree in ag business. His experience includes 20 years with W.R. Grace Co. in fertilizer sales and sales management and 23 years with Southern States Cooperative in ag sales and as a sales manager of specialty products. King and his wife, Virginia, live in China Grove, North Carolina. He enjoys helping others, fishing and hunting. Contact Worley at (229) 319-2187 or email here.